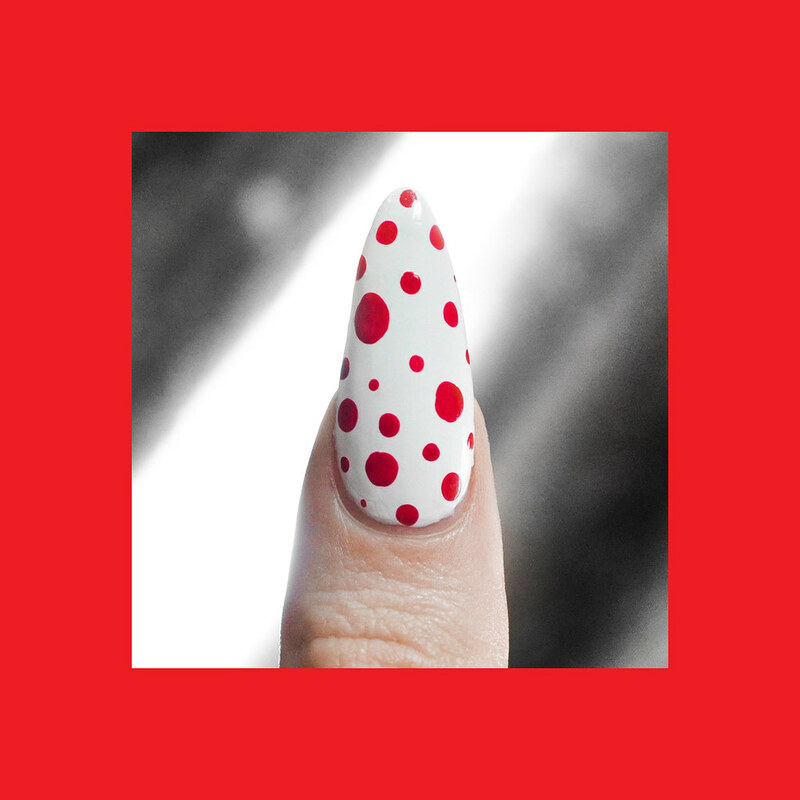 Ah, nails inspired by Yayoi Kusama! I've decided I need to make better use of my nails since they're so long now and attempt to paint more intricate designs. I usually paint my nails anywhere from 12 to 3 am but I think I should also start painting during the day. Sometimes I stay up a little longer than I should without letting everything dry and it doesn't look so cute when I wake up with the extra texture from bed sheets. I painted these while re-watching The X-Files (I'm not sure if that was a good or bad idea, I feel like I have to watch it all now.) It was fun, especially the dotting, but this was just a small start. American Apparel in Downtown L.A. 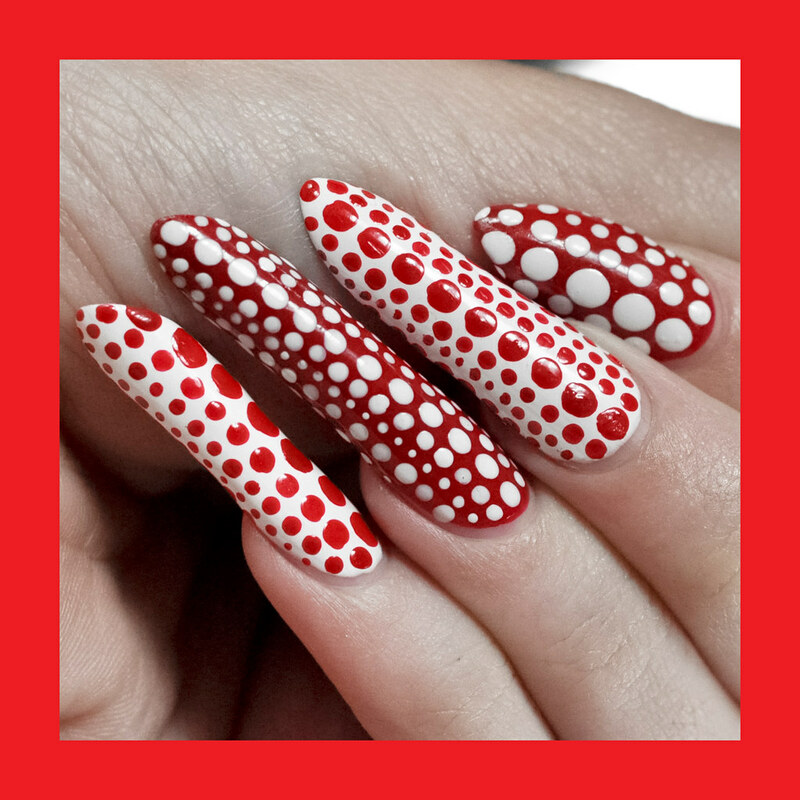 I love these nails and I love Yayoi Kusama! Dots can be cutesy sometimes but the varied sizes make this design look really cool, and almost reptilian from a distance (although maybe that's just me?) 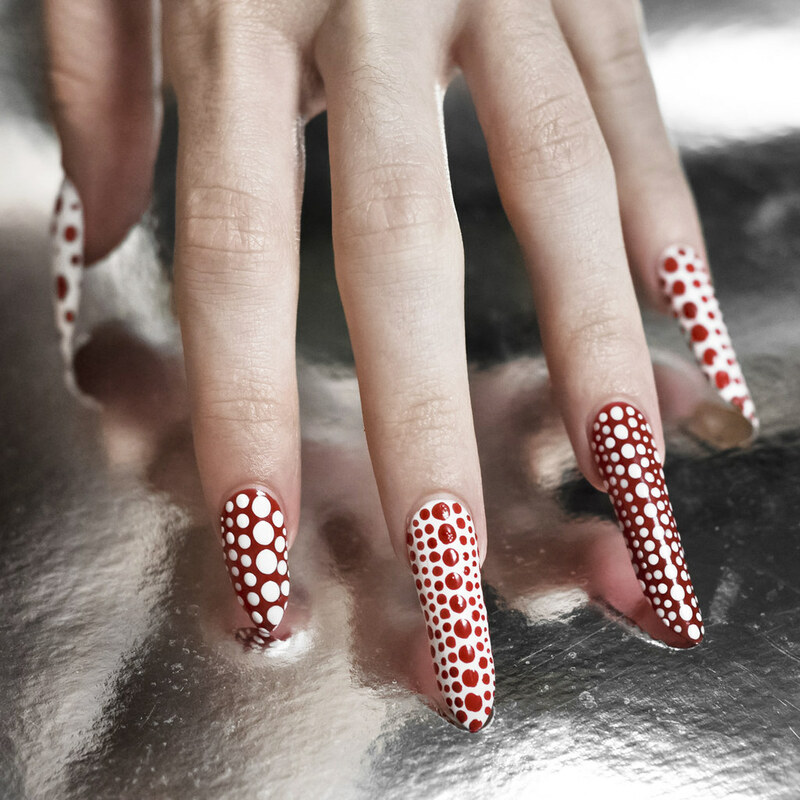 You are my ultimate manicure inspiration. Thank you! I agree, it does look somewhat reptilian. Wow! I really love this! !